Reduce the appearance, colour and texture of existing stretch marks with the powerful minimising cream, Goodbye Stretch Marks. I woke up in my 30th week of pregnancy to a stomach full of stretch marks over night  I was appalled. 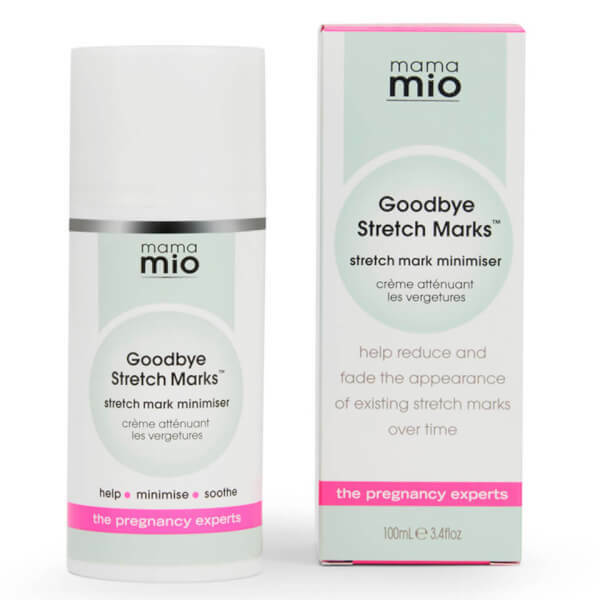 I quickly bought goodbye stretch marks at the advise of my therapist and used it daily. I pump goes a long way and it visibly reduced the marks. It also reduced the old silver marks I had from reaching puberty. You must be consistent though for complete removal. I'm happy with mio products. They work. I just bought the toning cream. And did the tummy boot camp at the salon with the mio waistline product. This cream is 5star! 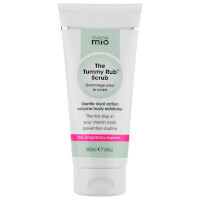 It really does work mama mio skin care should have a before and after photo page! I started using Goodbye Stretch Marks just three weeks ago and I am already seeing a difference. Finally something that works! This product works so great, it even smells great, and its not too thick or heavy! Most of all it really works! It has over 4 months of usage shrank the marks although not completely gone. the smell is nice and I think with continued use 3 times a day, they may become barely visible. I have recommended many friends, family and co-workers. 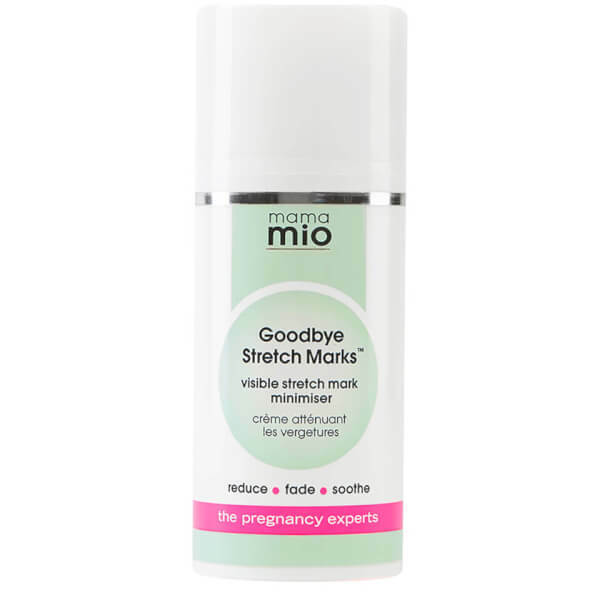 I love this product because...I suffered with stretchmarks for years after my daughter was born. I tried everything so I was skeptical but I can certainly say I love the product and have bought a few jars already. I'm so happy that I recommended the cream to my friends. First, I just want to say thank you for inventing a product that actually helps reduce the appearance of stretch marks. I've been using it for about 2 weeks on my 9 year old stretch marks and I can already see a difference!